Since time waits for no one, why should timepieces? Pick your favourites from the best watches of 2015. This stunner of a chronograph has secrets to keep. A model with two independent trains, it glamorously addresses the recurring issue of the chronograph disturbing the main gear trains. The resultant bigger frame does not lose the slick edge of superior mechanics. The elasticity of the flexed blade spring is linked to the going train so as to even out the torque. To top the looks on this charmer, there's a patented chronograph balance-wheel in titanium rendering the movement visible. Marvel at its perfect rendering of symmetry. The Heritage Bubble is unabashedly vintage. One of the biggest watches ever to be made, this chocolate and sepia-tinted piece is for the flamboyant man. It's rubber-ringed, spherical crown is complemented by short, curved lugs. It's distinctive geature is the towering sapphire crystal, which has to be crafted with a diamond-tipped tool. Expect sheer beauty. Touching a pinnacle in exceptional design, the Oyster Perpetual Day-Date comes from a family of chronometers. The first waterproof and self-winding chronometer wristwatch to offer a modern calendar with an instantaneous day display, it is informally known as the President's watch. In its revamped version, a far cry from the 1956 timepiece, it continues to set design parameters. Certified as a Swiss chronometer, it adheres to precision standards that's tested by superlative in-house methods. The heart of the watch is the oscillator, patented and manufactured by the brand itself. This ruggedly handsome piece is a chronograph par excellence. The screw-down crown perched on the stainless steel case accentuates the industrial look of the chronometer. Studded with 39 jewel elements and sapphire crystal coating, this one's as precious as they come. Making a bold statement through the interface of astronomy, the Luminor 1950 Equation of Time 8 Days ACCIAIO is a sleek beauty. Calculating the difference between solar time and mean time, the 'equation of time' as meticulously rendered here, is an exercise in excellence. 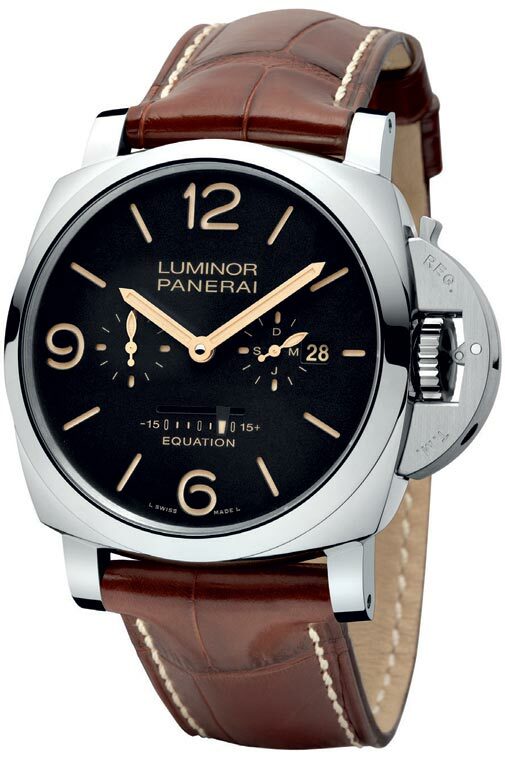 The linear indicator on the dial is an edgy touch to the classic Panerai design. The black dial with the brand's signature sandwich structure exudes a glow that streams through the two superimposed discs lending it a unique quality of depth. Crafted in gold, the watch takes inspiration from the fluid movement of the fabrics, ribbons and ruffles in the dressmaking atelier. While the white gold case is symbolic of the brand's Grand Soir collection's aesthetic, the bezel is crafted in pink gold that's set with 2.94 cts of baguette cut diamonds approximately. 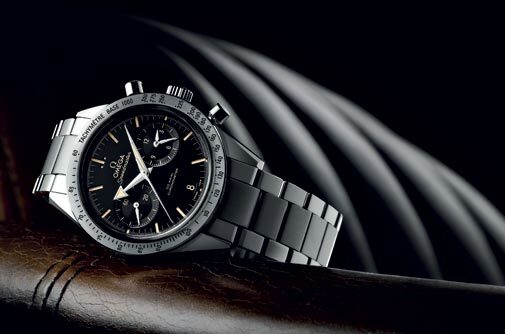 The newest member of the Speedmaster family is a worthy addition to the line's illustrious lineage. The silhouette and detailing is bolder but razor-sharp precision delivered by the chronograph is beyond reproach. The recessed hour-markers are partially filled with Super-LumiNova that emit a green glow. It's most distinctive feature is the beige dial indications adding just the slightest hint of colour to the rhodiumplated central hands. The scratchresistant sapphire crystal caseback is the cherry on the bottom. Distinguished by its colour composite ring placed right under the bezel, the Silverstone RS Racing's exuberant chronographs are designed to reference racing tracks. The seconds counter, in specific, is shaped like a brake disc. Even the checkerboard pattern dial with both the12-hour and 30-minutes counters are reminiscent of motor racing. The first tourbillon in the new generation Big Bang line, this trailblazer holds its own among its formidable peers. Nestled in the new 45mm Big Bang case, the skeleton tourbillon lends snatches of the exquisite movement within. The latticed look is further complemented by a power reserve indicator visible on the dial side. For the discerning man, it comes with an interchangeable bracelet attachment system transferable with a single click. The traditional tourbillon has a 13.6mm diameter cage. An update on Tissot 's T-Touch Expert Solar that was the first-ever tactile watch to be powered by solar energy, the new watch comes with a new bezel that has compass roses instead of numbers and a Super-luminova arrow on the minute hand than enables you to distingush both the time and your heading without any natural light whatsoever. Each exquisite facet made to resemble the essence of an ocean, the highly reliable diving instrument is a sports enthusiast's dream. Seemingly rising from the etched black dial is the date slot in an aperture at 6 o'clock. A rippling effect created by wave patterned etchings adorn the dial and case lending a playful vibe to its classic silhouette. 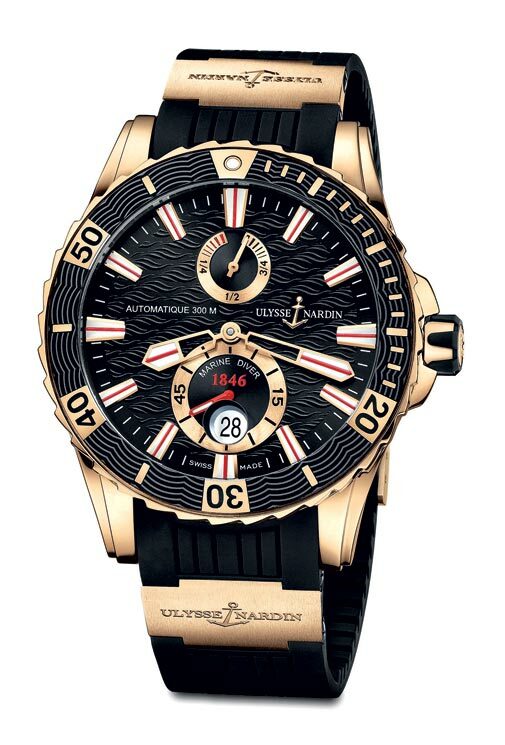 It boats of exceptional water resistance to 300 metres thanks to the screw-locked crown and case-back. The unidirectional rotating bezel prevents against errors caused by accidental adjustment while diving. The large hour-markers have a luminescent coating. Housing a large open dial inside a monobloc case, the DiaMaster Grande Seconde is designed to be paired with both a business suit as well as casual wear. It has two over-lapping sub dials, one for hours and minutes and one for seconds and striking leather straps. The watch is also scratchresistant, light on the hands and hypoallergenic making sure it stands out. Capable of bi-directional communication with iPhone and Android apps, the Swiss Horological Smartwatch has a polished stainless steel 42mm case that displays the central hours and minutes hands and a smart counter that is positioned at 6 o'clock. The small red hand indicates you the date during the day, while the small steel hand shows you the percentage of your activity or sleep goals. 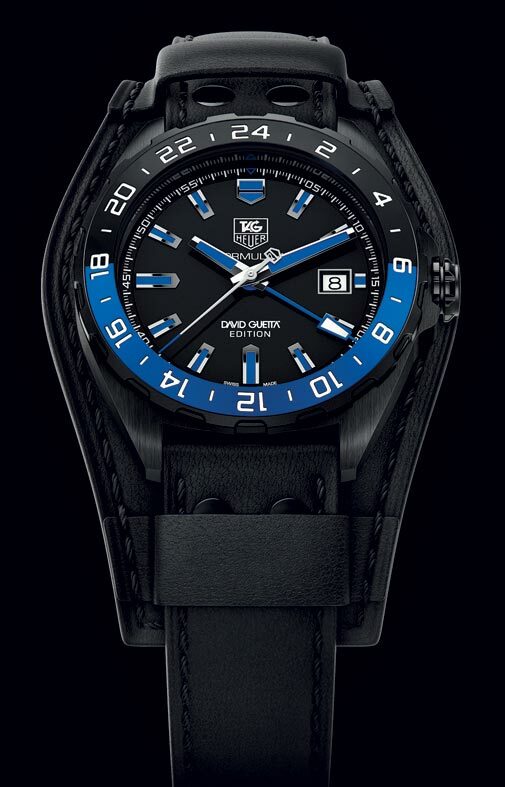 Every bit as snazzy as its inspiration, the TAG Heuer Formula 1 special edition piece is a bit of a departure from its usual ambassadors. The opaline black dial flanked by the black and blue GMT bezel has the name of the DJ engraved. There are interesting club-goers details weaved into the aged calf leather strap. The band sits snug on the wrist so as to not slide around when you're busy being the life of the party. Inspired by the 16th century Danish astronomer, Tycho Brahe Limited Edition has a multi-piece steel case and crown and is water-resistant upto 100mm. It has sapphire crystals donned on both sides and an anti-reflective coating inside. 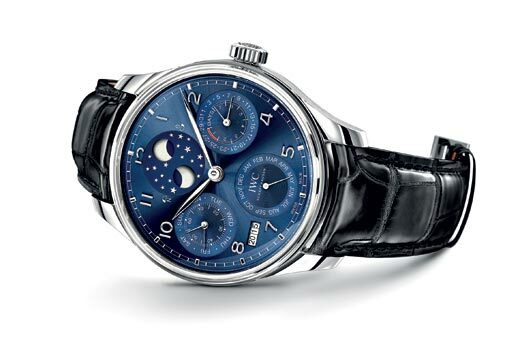 The watch also features a Pointer Moon function that's been specially developed by the brand that indicates the phases of the Moon over the 29.5 days of the lunar cycle. Dedicated to equisterian sports enthusiasts who're not willing to compromise on elegance, its dial is set with 9 applied indices coated with Super LumiNova and makes an elegant contrasting background. It features the 12-hour counter at 6 o'clock, the 24-hour indicator, as well as the 30-minute counter and the day-andmonth display at 12 o'clock. A tribute to the legendary artist, the watch has a 39.5mm with the hands, index markers, and contour of the date window bright blue, against the backdrop of a silver dial. A transparent caseback boasts a special Sinatra Centennial insignia, while the twelve marker, signifies Sinatra's birthday. Bordering on high art combined with watchmaking wizardry, this romantic piece shows the state of the moon both in the Northern and Southern Hemisphere. It's incredibly sophisticated mechanics draw on the beauty of a night sky to draw parallels with the inevitable transition of time. The railway track style chapter ring traipses along the edge of the dial to create a luminous effect. The perpetual calendar demonstrates the lunar cycles as well as the seconds, minutes, hours, date, day, month and year in four digits. 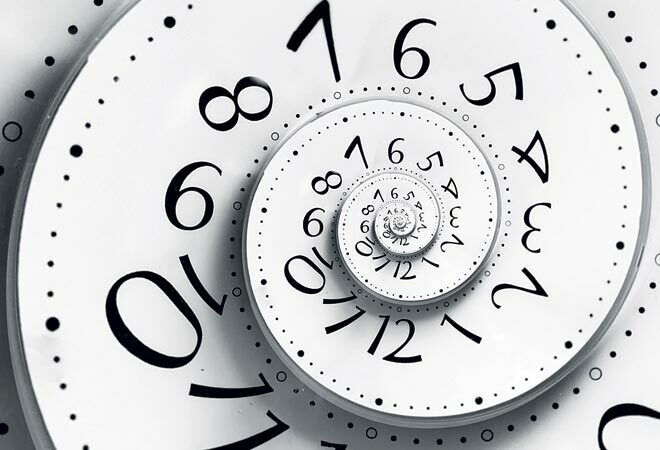 Mechanically programmed, the calendar takes into account the different lengths of the months. Marking the 30th Anniversary of the brand, I.N.O.X is symbolic of the Swiss Army knife that's the brand's most famous creation. 43mm in size, the watch is water resistant upto 200 metres and has a case that has scratch-resistant sapphire crystals with triple anti-reflective treatment. Measuring 42mm in diameter, the watch is fitted with crocodile-patterned leather straps and contains Swiss-made quartz movement. The sweep seconds, hours and minutes hands are finished to match the case. The stainless case back is held in place by four screws and the watch is secure against water ingress to 50 metres. The watch uses sunlight to connect to the GPS network and tells you the time with atomic clock precision. You can also know the time in your home time zone on a simple 12-hour sub-dial with a separate AM/PMindicator. The day of the week is displayed in retrograde at the 2o'clock position with the date at the 4 o'clock position. The watch has a classic column-wheel control mechanism, a precise minute counter and a flyback function along with balanced dial layout with the characteristic Lange outsize date and the two argente subsidiary dials for the seconds and the minute counter forming an equilateral triangle. The dial is made of solid silver and is embedded in a 41.0 millimetres case. It's a full-feature chronograph watch that is capable of measuring 1/1,000 second shown as a digital readout on the LCD at the bottom right of the watch face. It's designed to serve as a professional measurement tool for motorsports. Even the design features a cockpit of a racing car. The watch is composed of a single block of meteorite discovered that has come from the asteroid belt between Mars and Jupiter. It was cut into several thin plates and taken through several processes before arriving at the precise hape. The watch is an expression of the timeless beauty of the meteorite that's a million years old. mosimageThis one has a legacy to match the name. In an ode to the once-forgotten and extremely rare technique of dead beat seconds complication, this model is a revamped version of one of its most iconic pieces. The seconds hand, originally off-centred, has been granted pride of place at the heart of dial. Pulling off a technological miracle, the balance-spring is made of silicon, a material immune to magnetic fields or changes in pressure. Few know that the Deadbeat Seconds complication evident in the jumping motion of the seconds hand was responsible for the birth of chronograph. The collection marks the brand's 260th anniversary celebrations and is distinguished by the entirely hand-engraved movements in the watches in keeping with classic ornamental watchmaking traditions. Also, the plates and bridges of the hand-wound 2260 and 4400 calibers are adorned with floral motifs, reminiscent of the engravings gracing the first pocket watches created by the brand. The watch is distinguished by an automatic movement with two mainspring barrels, date mechanism designed to resist shocks and free sprung balance with a silicium spiral and regulated by gold regulation screws. It also has two side-by-side windows for display offering optimum readability. mosimageSupremely efficient as both a superdiver model and a stylish technology to covet, the new Superocean II has been endowed with a redesigned dial and bezel along with a slimmer profile to enhance lightness and comfort, an additional 36mm size and a new rubber strap. 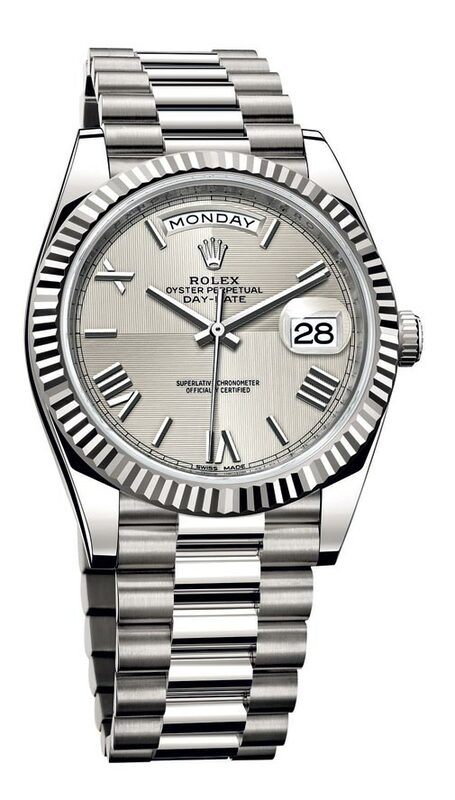 Also, it's steel case with a screwlocked crown ensures water resistance to depths ranging from 200 to 1,000mm. Renowned for impeccable accuracy and one of the slimmest cases, this beauty is a flying tourbillon without a bridge. The hand-wound movement decorated with circular graining and CÃ´tes de GenÃ¨ve beats at the rate of 21,600 vibrations per hour. The luminous black lacquer dial is complemented by the edgy black alligator strap. Breathing contemporary style into a classic design of 1972, this two-tone piece stops short of ostentatious. A faceted facade etched with pink gold, it has a silver-toned dial with the exquisite 'Grande Tapisserie' pattern. Admire the pink-gold applied hour markers, glareproofed sapphire crystal and caseback and Royal Oak hands with luminescent coating. mosimageLaden with motifs evocative of the rippling supercar by the same name, the Buggati Victoire is one of three special edition creations. It's a glamorously fitting ode to the partnership between Swiss watchmaker Parmigiani Fleurier and Bugatti. The compact case branches out into a strap with engraved geometric patterns designed to emulate the skid marks of a Bugatti 370's tires. The herringbone etching on the case emulates the gears. Launched to mark the brand's 150th anniversary, it's a high-frequency timepiece. 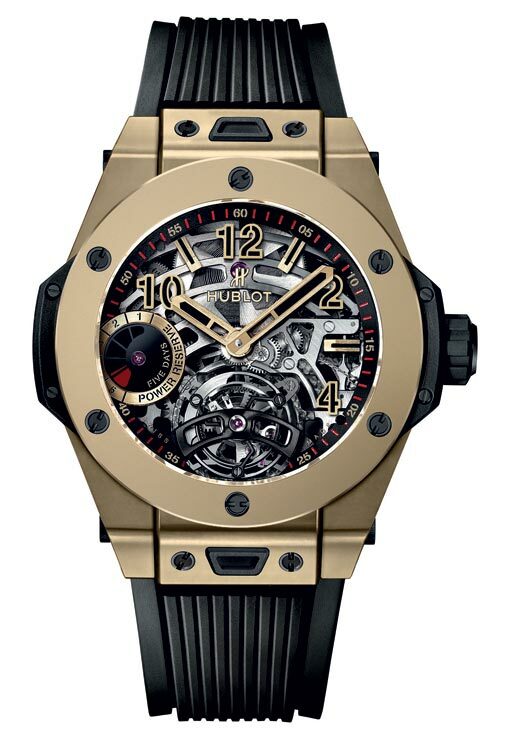 Opulent and intricate, its movement design can be seen through an opening in the dial. It doesn't get any more glamorous than a captivating steampunk-inspired fusee and chain system held in place by two dynamically shaped bridges. 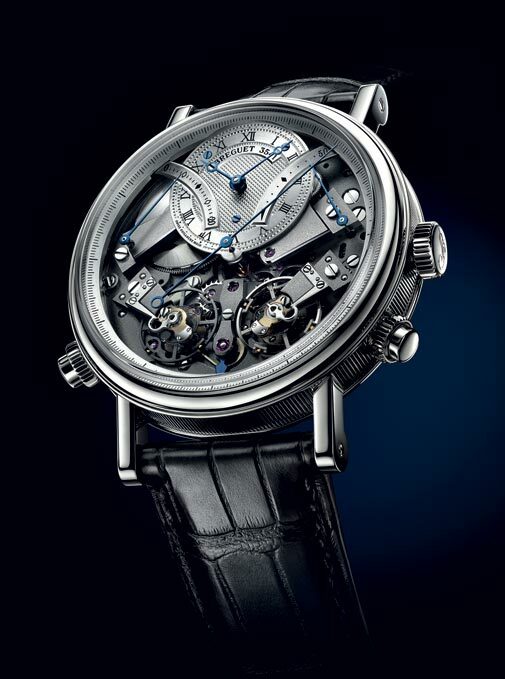 Reverberating with metallic magnificence, the bare skeleton poised above the Roman numerals XII and VI symbolises Cartier's unique essence. Its elongated form evokes the image of a celestial body. The unusual structure creates a futuristicframe accentuated by a blue sapphire cabochon. mosimageSuffused with the glow of Louis Vuitton's minimalist aesthetics, this moody and masculine piece is perfect for the brooding beast in you. Its high-precision self-winding mechanical movements feature a 42-hour power reserve. The transparent back means lets observe the oscillating motion. The high on style piece is dotted with applied figures and hour markers in a luscious shade of red throwing the black carbon effect into sharp effect. The hunk-y rendering of the tri-axial tourbillon in no way detracts from its delicate mechanics. Combining two independent hour indications regulated by the tourbillon and a karussel, it has exceptional precision-rating qualities. A blue ceramic pusher allows the timepiece to display the elapsed hours and minutes, much like a chronograph.